It's been a while, hasn't it friends? But have no fear- I am here for you! 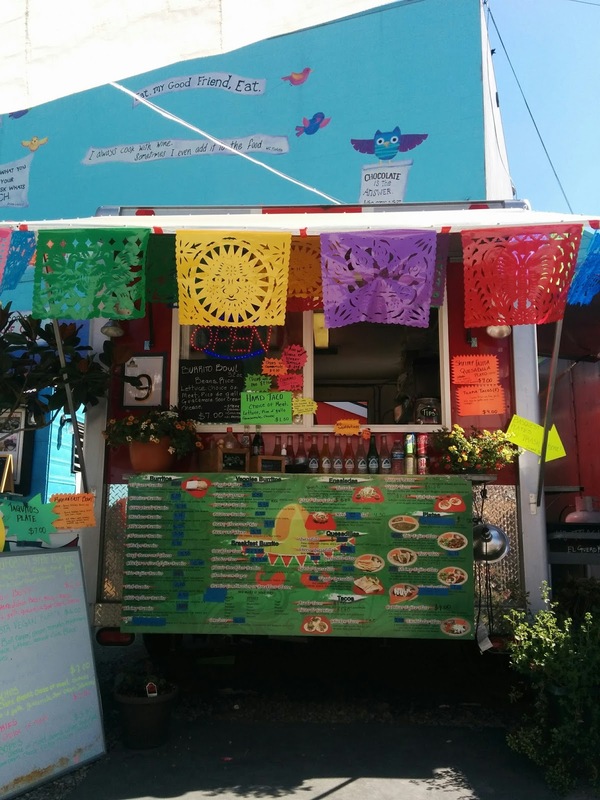 I know my true fans won't give up on me and my incessant search for Portland's best burrito. 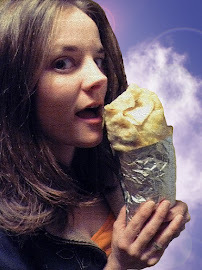 Even if I don't post anything for a while, I'm simply meditating on all of my prior burrito experiences. Breathing in the good, and releasing the bad. 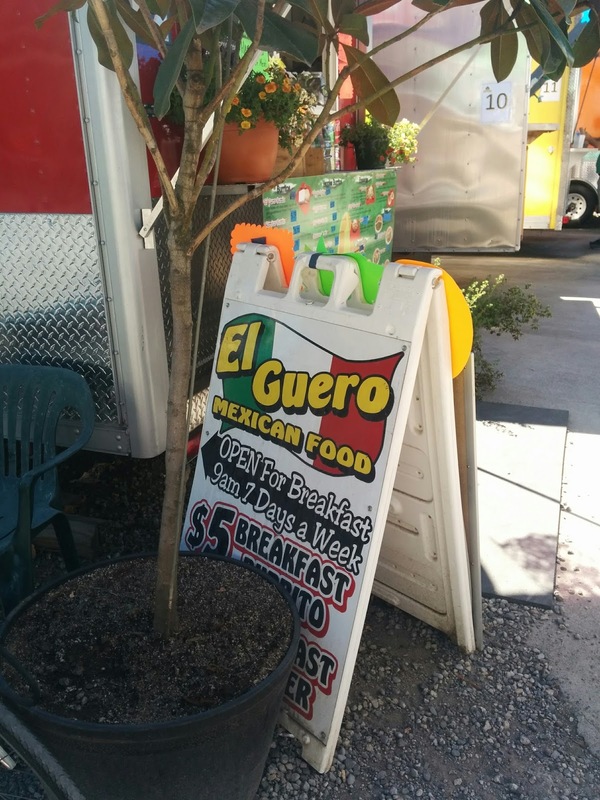 El Guero is located in the Rose City Food Park, at Sandy and 52nd ave. I stopped by after getting a massage, because what's more cleansing and healthy than eating a big greasy burrito right after some rejuvenative healing? The pork was a bit dry and on the tough side. It lacked that juicy in the middle, crisp around the edges goodness that my soul so desires. The flavor was ok. 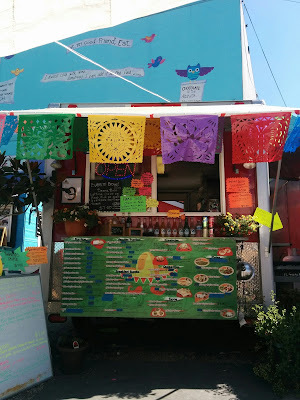 The beans were decent, and the guacamole was pretty good. It wasn't overloaded with rice, so that's a bonus. 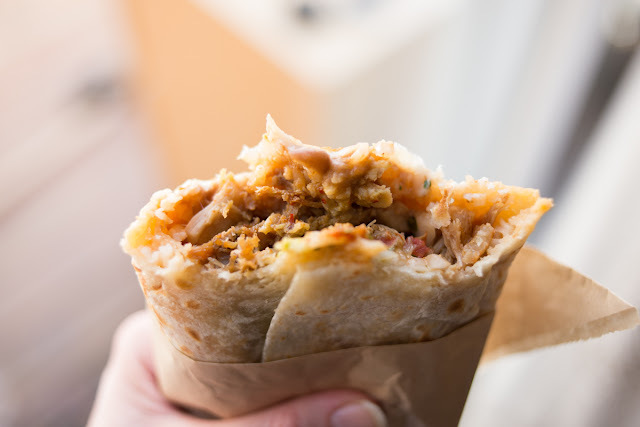 Ugh... it's been so long since I've written about burritos, I was hoping I would have some joyous sensory language to engage you with. 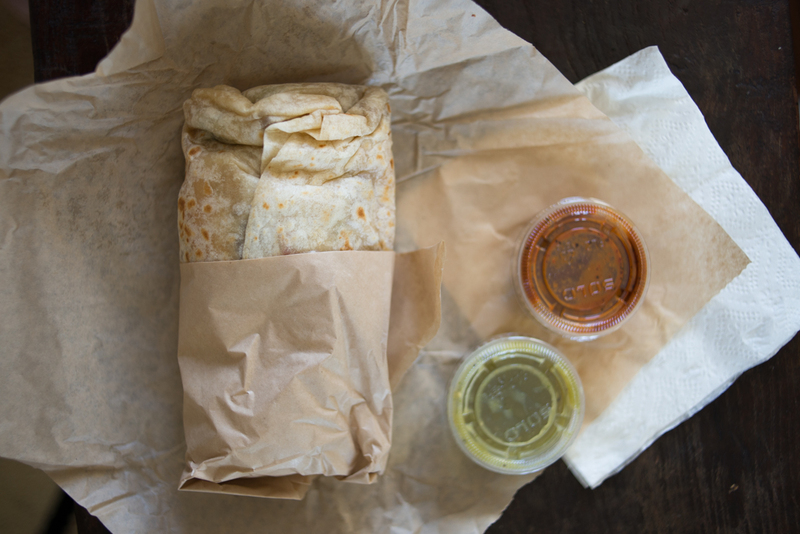 Unfortunately, this burrito inspired very little. Sorry friends- "ok", "decent", and "pretty good" are all the lackluster descriptors I can muster right now. I'll just have to take a deep breath and exhale this one out.